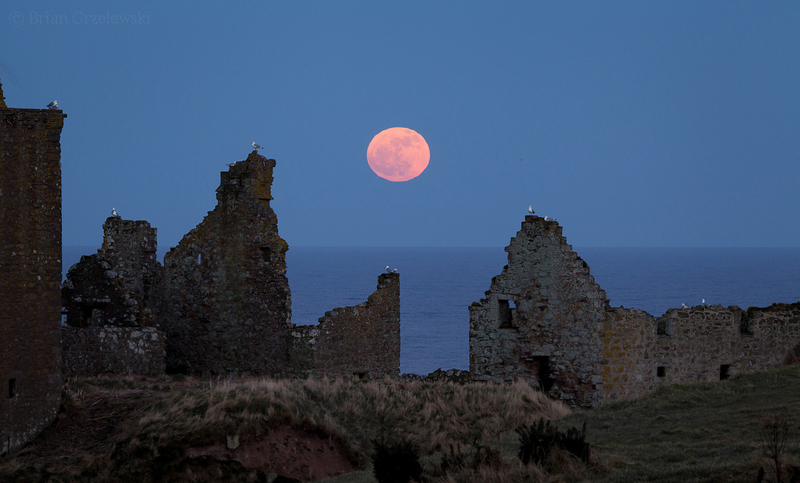 A beautiful full moon rose over the ruins of Dunnottar Castle a few days ago. The setting sun colored it orange against the blue sky of dusk. I think you’re going to be seeing a lot of this castle. I hope you enjoy it. This entry was posted in Scotland by Brian. Bookmark the permalink.